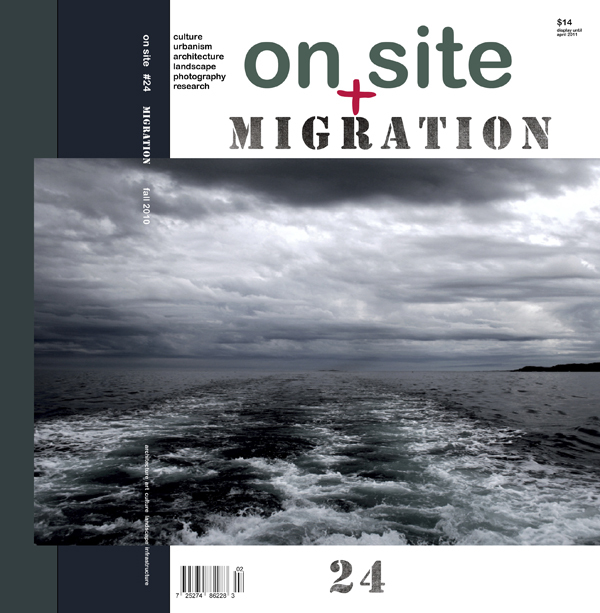 On Site, Canadian independent journal on arts and architecture, issue 24 on migration is hitting the streets. As we are excited to get hold of some copies here in Shanghai, NoMadSpaceLab is also proud of contributing once again with written work to the journal. “Network society of bad space” is a comment on settling with something that never really satisfy you, while building castles in the sky.. or in Croatia. And once more we would like to remind that if you do not yet have a subscription it is time to get one. ~ by tw on November 21, 2010.